● Status: Passed the House and awaiting action by the full Senate. ● Key provision: Would require the State Board of Education to adopt a menu of nationally recognized assessments for districts and charters to choose from. It would eliminate the use of the AzMERIT test. ● Status: Passed the House and awaiting action in the Senate. ● Key provision: Would allow parents to opt their children out of statewide assessments without negatively affecting the school or district. ● PIN Bureau: What do you know about the Common Core? Gov. Doug Ducey has said leaders can make the changes he wants to see to Arizona’s version of the Common Core standards without a law striking them down. But legislation to do just that continues moving at the State Capitol. 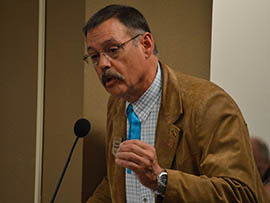 “How much are we going to continue to sacrifice the local control we’ve got and the state control we’ve got, and also at the school district level,” Finchem told the Senate Education Committee on March 19. Despite Ducey’s comment Monday after presenting his education agenda to the State Board of Education, a spokeswoman for House Republicans said Finchem’s bill will move forward if the Senate approves it. “If it does pass through the Senate and come back to us, yes, we will still push the repeal of Common Core,” Stephanie Grisham said in an email. To reach the floor, Finchem’s bill would have to clear the Rules Committee, chaired by Senate President Andy Biggs, R-Gilbert. 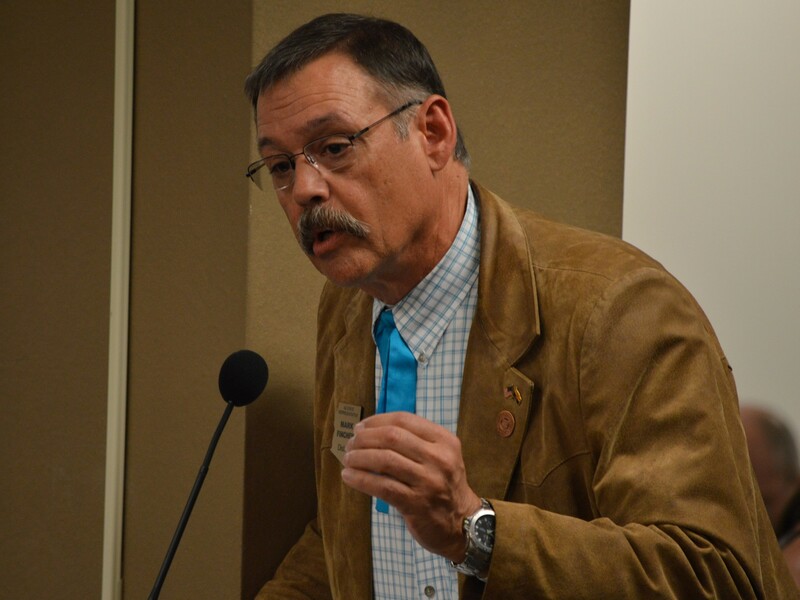 Mike Philipsen, a spokesman for the Senate Republican Caucus, didn’t return a phone message Tuesday seeking comment on whether Biggs intends to advance the Finchem’s bill to the floor. The Common Core State Standards are nationally developed principles guiding math and language arts education intended to ensure consistency of instruction and high standards around the country. Arizona adopted them in 2010, and schools across the states implemented them fully during the 2013-2014 academic year. Although he voted for the measure as a member of the Senate Education Committee, Sen. Steve Smith, R-Maricopa, asked Finchem whether Arizona would be wasting millions spent implementing Arizona’s College and Career Ready Standards and then spending more to create new standards. Finchem countered that the state could use what’s already on hand, including textbooks, on any new curriculum it creates. Dozens of supporters and critics of the bill spoke at length during the meeting. Dayna Burke, a first-grade teacher at Sahuarita Primary School, said Arizona’s Common Core standards are working in her classroom. “My students are enjoying math more than ever now,” she said. “It’s not simply showing them strategy with no rationale behind what they’re learning,” Burke added. Aaron Bencomo, who identified himself as a fifth-grader the Arizona school system, said the Common Core standards have put him behind in key subjects. Gov. Doug Ducey says education standards should be the state's and not dictated by Washington. While he opposes Common Core, he says the standards can be changed to his satisfaction without a law eliminating them. Rep. Mark Finchem, R-Oro Valley, author of a bill to bar Arizona version of the Common Core education standards, addresses the Senate Education Committee on March 19.